Invitation to visit 2nd ISA UAE Automation Conference and Exhibition on 16-17 May at St. Regis hotel, Nation tower, Corniche, Abu Dhabi! 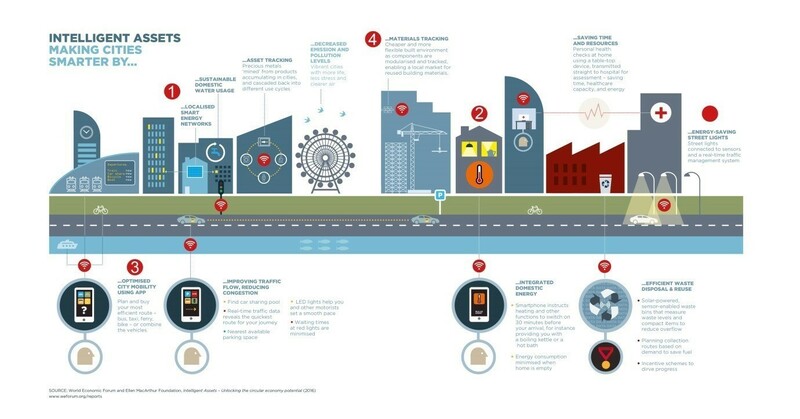 In research studies from IHS and Frost & Sullivan, it’s suggested that by 2025 approximately half of the world’s smart cities will be located outside of America and Europe, the advantaged territories that currently boast the highest concentration. Already well on its way, the Middle East has been the development of its own smart cities as Tel Aviv delivers personalized city services to its citizens through its data analytics program Digi-tel, and Dubai aims to be the world’s smartest city by 2017. By 2050, it’s expected that populations in the Middle East will double and urbanization rates may reach 70%. With Gulf countries already urbanized above 80%, infrastructure congestion is problematic, and governments are looking for ways to better manage transport, water, and energy service use. Smart cities, therefore, provide an attraction both through the enthusiasm for technological advancement as well as the possibilities for better urban management. Already the World Expo and World Cup to be held in 2020 and 2022 respectively are motivating hosts UAE and Qatar to advance their cities’ developments, though the risk of rushed tasks could mean inadequate Big Data implementations. Open data policies could play a significant role in well-functioning smart cities, and says Mira Marcus, international press director at Tel Aviv Global, “The first thing we did was open our municipal database. Data is the basis for so many start-ups!” In Tel Aviv, collaborations with startups such as Waze are addressing traffic and congestion issues, and a startup accelerator financed by the city is targeting the development of smart city solutions. Another example of such support is the Center of Excellence in Smart, Sustainable and Entrepreneurial Cities at Abu Dhabi University, a $1.6 million initiative in the Abu Dhabi emirate that opened in September last year. However, José Quádrio Alves, global government director, Future Cities Program Leader at CGI, believes that Middle Eastern countries will have to make their data even more accessible. He explains, “A trend we see in many cities [of other regions] is the move from defining what qualifies as open data to defining what data cannot be open data. The assumption now is that, by default, all data should be opened.” Though many Middle Eastern countries are currently low in the global open data rankings, progress is being made to share and open data between government agencies and third party users, and it’s suggested that in the future open data from the private sector as well as the government will encourage advancement. Though privacy and security concerns remain, the smart city advances taking place are already benefiting the region and the innovative solutions being implemented continue to drive motivation and transformation. Telinstra has now become a Rockwell Recognised System Integrator (RcSI). This prestigious certification is provided by Rockwell Automation Inc. only to an elite group of System Integrators in the world and can only be achieved by successfully implementing and leveraging the Technologies provided by Rockwell Automation for various clienteles in the region. Telinstra expects to take this partnership with Rockwell to new levels of deployment and implementation of the latest technology from Rockwell for its various clients in the region. “Telinstra is also proud to announce that it has now successfully delivered its 100th project in the region. This accomplishment has been achieved in a very short duration of only three (3) years since incorporation. In the three years Telinstra has had the honor of working for various end users in the Oil and Gas, District Cooling and Infrastructure Industries”, said Aditya Raheja, the VP- Operations of Telinstra. 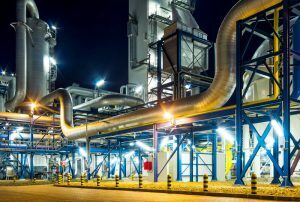 “This success can only be attributed to our team’s understanding of our client’s requirement, timely implementation of the projects and successful testing and commissioning at site. This has resulted in telinstra getting repeat orders from the same customers and we hope to continue this in our future endeavors.” said Raheja. Telinstra has extended its presence in the region with the signing of a partnership agreement for the country of Qatar. “We are now present in Qatar with a dedicated Sales and Projects team and along with our local partner we can now support all automation, control, instrumentation and electrical requirements of clients locally from the Qatar region”, said Raheja. Another important milestone achieved by Telinstra, is to partner with a United Kingdom based company namely Whorlton Engineering to bring Functional Safety expertise into the region. 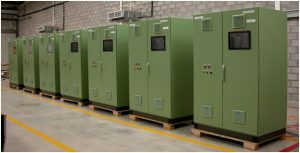 The services covered include the whole lifecycle from Process Hazard Risk Assessments (PHRA) by HAZOP through Allocation of Safety Functions, development of Safety Requirement Specifications (SRS), to Detailed Design, Installation, Commissioning and Handover all of which is fully compliant to the IEC 61511 lifecycle. It’s a big mistake to think that the Internet of Things will only remain relevant with tech industry movers and shakers and early adopters. 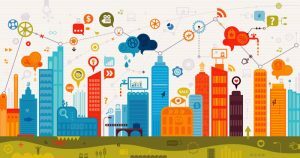 One glance at the world around you, and you’ll quickly realize that the IoT is well on its way to becoming an everyday aspect of even the most low-tech workplaces. The IoT is removing mundane busywork from countless blue-collar jobs, enabling businesses, cities, and entire industries to increase services while cutting demands for labor, training, resources, and equipment. In fact, the American Society for Quality surveyed a number of manufacturing companies that have embraced the IoT and uncovered some staggering numbers: Manufacturing efficiency increased by 82 percent, approximately half of the users saw fewer defects, and customer satisfaction swelled by 45 percent. There’s no denying the fact that IoT applications are effective, but if you aren’t aware of just how widespread they are, you’re probably not prepared to keep up with the many sweeping changes on the horizon. IoT automation is shaping up to be the future of any and all industries that currently revolve around manual-based labor, especially when it comes to monitoring and assessment. Parking: The “dumb” devices we used to know as parking meters have smartened up. Instead of individual meters merely accepting change and outputting a simple timer, parking kiosks can now process credit card transactions, sense when spaces are available, and accept remote payments to extend time. Drivers can even interact with these systems remotely to find open spots. This cuts down on time, traffic, fuel consumption, and, most importantly, frustration.The impact here is bigger than you might guess. A study showed that drivers searching for parking rack up more than 950,000 miles every year in just one district in Los Angeles. The need for parking efficiency is obvious, and only the IoT can deliver such key solutions. Metering: Self-monitoring “smart” meters in utility markets means millions in savings because of fewer mistakes and less maintenance. But that’s just the beginning; they also allow for optimization. The possibility for high granularity — reports can be collected as often as every 30 minutes — will help utility companies anticipate demand and respond accordingly. Farming and agriculture: Even though it’s one of the oldest and least technical industries out there, not even farming is immune to IoT development. Farmers are currently using sensors to help increase crop yields, monitor weather patterns, and utilize their human resources with more accuracy. Believe it or not, they’re also tracking herd locations and monitoring hormone levels in livestock to determine ideal calving and milk production schedules.Some of the biggest names in farming and agriculture are already joining the IoT revolution: John Deere wants to transform the tractor into a data control center, and Monsanto is analyzing weather with the help of Google alumni.The data collected through IoT solutions can also enable food producers to offer the label transparency that today’s consumers increasingly demand. Once again, innumerable man-hours and resources are saved in low-tech industries that embrace IoT applications — and, as a result, profits soar. The IoT will continue to develop fruitful collaborations between the high- and low-technology worlds — and anyone who isn’t prepared will be left behind. “Adapt or die,” the old adage, applies here as much as anywhere. What we’re going to see in the coming years will be unprecedented, but not unpredictable. Processes and operations that weren’t even conceivable a few years ago are going to come to life, take over, and replace low-tech methods with unmatched efficiency. The coming convergence of high- and low-tech approaches is certain to happen in very disruptive and unpredictable ways. Soon enough, anything that isn’t connected will be as good as dead. The term “high-tech” itself could cease to exist as we watch the most unexpected industries begin to integrate labor-saving tech connectivity to multiply their efficiency. Your choice is simple: Get ready for the IoT to come to your business, or get ready to go out of business.To provide the best user experience telinstra is launching new website which is mobile and ipad responsive design. We are glad to announce that our new website is launching soon. thank you all. By Telinstra Team. 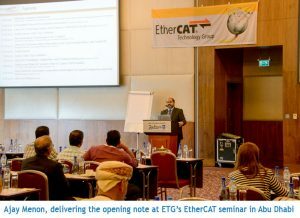 Telinstra,Managing Director and President ISA (International Society of Automation), UAE Section delivering the introductory speech at the ‎EtherCAT Technical Group (ETG) seminar in Abu Dhabi on the 26th of January 2016. The session was attended by several end users, consultants and industry professionals and was a one day event at the Radisson Blue, Yas Island, Abu Dhabi.It was an excellent opportunity for industry professionalss to learn about EtherCAT and Industrial Ethernet.This seminar was supported by Beckhoff Automation. EtherCAT Technology Group (ETG) – the world’s largest Industrial Ethernet and Fieldbus organization with over 3400 member companies from 58 countries brings the EtherCAT technology to you. Founded in November 2003, it is also the fastest growing fieldbus organization.EtherCAT is an open technology. The EtherCAT Technology Group stands for this approach and ensures that every interested company may implement and use EtherCAT. At the same time the EtherCAT Technology Group aims to ensure the compatibility of EtherCAT implementations by defining functional requirements, conformance tests as well as certification procedures.ETG’s goal is to ensure that EtherCAT technology meets and exceeds the requirements of the widest possible application range. In order to accomplish this goal the group combines leading control and application experts from machine builders, system integrators, end users and automation suppliers to provide both qualified feedback about application of the existing technology and proposals for future extensions of the specification.